Armageddon again and again and again. On our recent trip to San Diego, I caught news snippets about evangelicals and Pentecostals announcing the "end is near." The Israeli war with Hezbollah terrorists has opened the lid on all the apocalyptic voices that announce that this is the end...really the end...the end of all ends. Jerusalem countdown and all that. Since my conversion to Jesus in 1959, I have been exposed to many "ends" of time. U Thant, then Secretary-General of the UN was "the anti-christ" and apocalyptic types were scrambling to identify "the ten toes." Our church's evening service was spent looking at a bed sheet strung across the altar area with the "end times" chart. As a little junior high convert, it scared the pee-waddlely-do out of me. I went home and accepted Jesus again. The beast, the dreaded "mark of the beast," the four horsemen, the bowls and trumpets and, and, the GREAT white throne judgment...and hell. You get the picture. Poor JFK...he was voted in as anti-christ, a Catholic and what with the wound to the head, etc. Then Israel's "six day war" in the middle '60's. 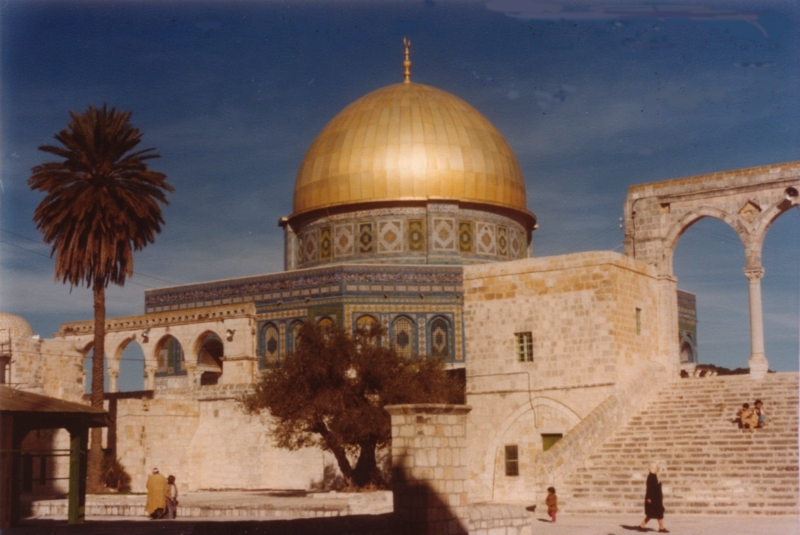 Let's get the temple mount back from the infidel Muslims and find that ark of the covenant. In the early '70's when oil became the issue, the charts came out again. THIS is it! Late Great Planet Earth and all that. Apache helicopters are stinging beasts from the pit. Wait. Dang. Wrong again. 1988!! Forty years from the birth of the nation of Israel. One generation...this is IT!!! Oops. Then in recent years the anti-christ was Saddam Hussein and Y2K was a key factor for the end. And the EU (European Union) was forming...who's in, who's out of the EU...I see "toes" coming together. Whatever happens, don't be "left behind." So the other day, the pretty CNN anchor asks two "biblical experts" if this is "Armageddon" or the stage for Armageddon. Talking heads wasted air time speculating again. This is the stuff of comic books. You forgot Gorbachev with that 666 logo on his head! Oops. You're right. I'll add it in. 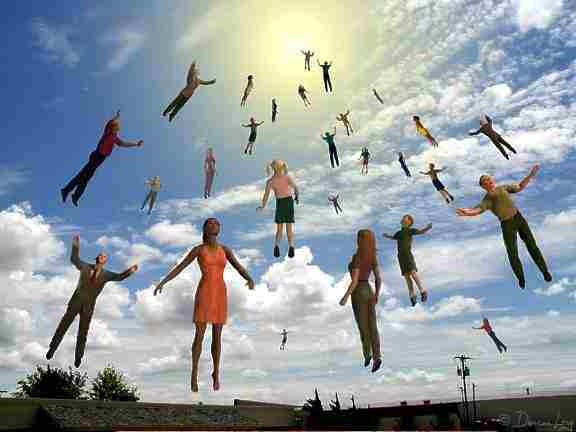 Why do only thin people get raptured? Good question! I visited your website and am profoundly moved by your diagnosis. We have a friend who had the possible diagnosis of ALS, but it was ruled out and then we have a pastor in our town with the diagnosis and we have a friend whose husband had the diagnosis. Brian Mclaren was peeved the other day by people who look at the Israeli/terrorist conflict as "a good thing" because we are seeing "biblical prophecy fulfilled." Julie listened to Brian's talk online. I'll listen to it soon. I had serious root canal, gum surgery and my face is swollen this morning. Do you remember those old "Distant Thunder" and "A Thief in the Night" movies put out by...who was it?...Lindsey? They used to scare the livin' $%*#&@@*! out of me. Oh my! Look! You can still get them - -classics! Yeah, great movies to show junior highers at summer camp. Please, please, I don't want to be left behind!! Yeah. I know the impact this kind of thinking still can have on otherwise very informed and intelligent people. I think there is the paradigm that Israel has become a nation, and that is the beginning of the end. So they're looking for it. I'll sit this one out- always- with you! I have always been confused by these dark prognosticators. If indeed they believe the end was nigh, willing to go on camera before millions to claim it, what are they truly doing with their last days to demonstrate- incarnate the "embracing grace" of God to the people about to be "left behind"? Grrrr. It is amazing that apocalyptic devotees don't see the silliness in all their "predictions." Ronald Edward Reagan (6 letters in each name)--how could we have missed it? It is amazing how even Muslims, out of curiosity are reading the "Left Behind" series (LaHaye). And quite a few others and a cross-section of such, worldwide. A great post. You've done us all a favor by reminding us in one brief post all of the "signs" and predictions. I had forgotten some of these. I'm with you. I think I'll sit this one out. Thanks for sitting this one out with me. Don't you get tired of this stuff? there sure are a lot of comments on here for everyone sitting this one out ;) I wish people would come "sit out" at my blog! I think I will sit with you. We can sit and sip coffee and watch on the hype about the "end times." It should be fun.